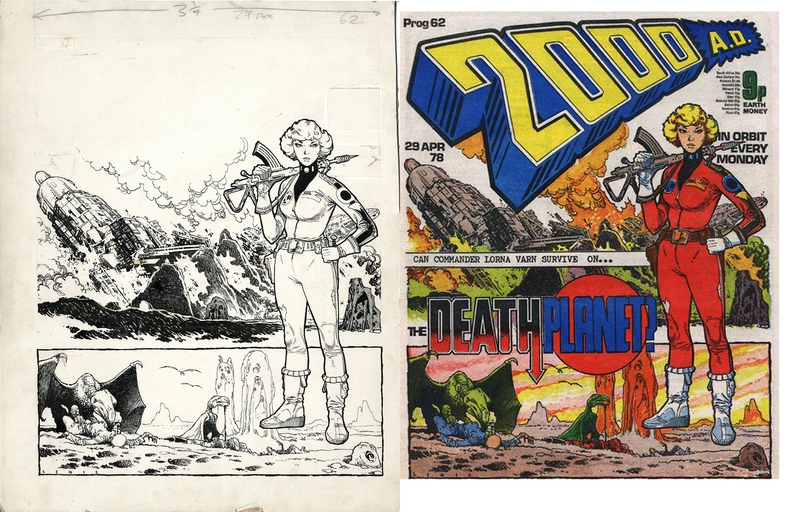 Absolutely superb early 2000ad cover offered for the first time on the open market! 2000ad Prog 62, cover date 29th April 1978. Artwork by acclaimed artist Brian Lewis, a stalwart of 1960s British comics, responsible for a much loved run on Captain Condor. His career was brought to an abrupt halt by his untimely death in December 1978. This was one of the few pieces he had the opportunity to do for 2000ad, drawn and published the year of his death. This cover launched the news series 'The DEATH PLANET' in 2000ad. Art is 40 x 51 cm. on CS10 art board in good condition.